Under normal circumstances, cargoes are meant to last about 30 days or a few weeks at ports before they are ferried away by their importers to their final destinations. But that theory appears to be Utopian as far as Lagos seaports are concerned. Cargoes now loiter at the ports for months and years. At the moment, over 10, 000 cargoes are currently lying at Tin Can and Apapa seaports in Lagos, a development that has not only led to congestion, but has also forced a shipping firm to stir the hornets’ nest with a controversial congestion surcharge on all Nigeria-bound cargoes. Cargoes are classified as overtime when they have stayed in the ports for between 28-30 days without clearing and delivery. Many cargoes at the Lagos ports have stayed for between 30 days and seven years and still counting. Consequent upon this ugly development, French shipping company, CMACGM, recently served notice of plans to introduce a $400 surcharge on Lagos-bound cargoes saying its action was necessitated by disruption of its activities due to congestion at the ports. The fine, which was to come into effect on October 15, 2018, would have amounted to extra costs for importers and higher costs for manufacturers. Before the situation got this bad, importers, clearing agents and other stakeholders had been soliciting for the restoration of normalcy in port operations, but without any appreciable change. On a sad not, the worsening congestion has nothing to do with the increased volume of cargo traffic, rather, it is as a combination of over-patronage of Lagos ports, poor cargo delivery processes, as well as, the very poor state of access roads to the ports. With a coastline of over 850 kilometres, Nigeria has seven port complexes, and Delta State alone has four that are located in Warri, Burutu, Koko and Sapele, each of them built at huge costs and still in relative working condition. In effect, industries and business communities in the various regions ought to be enjoying the advantages of multiple choices and closeness to their operational bases. The other fully equipped port complexes are located in Port Harcourt and in Onne (both in Rivers State), and in Calabar, Cross River State. Unfortunately, despite this spread, every business concern unwittingly feels compelled to use Lagos ports for their import and export transactions. This nationwide drift towards Lagos ports by importers is what has brought about the unprecedented number of overtime cargoes that now litter Apapa and TinCan ports. Both ports handle more than 80 per cent of containerised and general cargoes shipped into the country. The over 10, 000 cargoes, which are strewn about at these seaports occupy large expanse of land that should have comfortably accommodate new incoming goods.Worried by the emerging scenario, and the impending controversial congestion surcharge, stakeholders are calling for urgent measures from the Federal Government to end the menace. President, National Council of Managing Directors of Licensed Customs Agents (NCMDLCA), Lucky Amiwero, bemoaned a situation where cargoes are routinely overstaying the normal 30 days and lasting for years at the ports. He stressed that one of the most effective ways of arresting the menace was for overtime cargoes to be moved to government warehouses in accordance with the Customs & Excise Management Act (CEMA). Said he: “It is important for the Nigeria Customs Service (NCS) formation at the affected ports to draw up the list of overtime cargoes, and send it to their Headquarters for approval. Once that is granted, the cargoes should be moved to Ikorodu, which is where the government warehouse is located. The movement of these cargoes would free up the ports and create room for new cargoes. Anything short of this makes our ports unfriendly, and that is against international best practices. Amiwero called on the Federal Government to take steps to decongest the ports by removing all uncleared and seized cargos from the various terminals to the appropriate place as statutorily provided for in the CEMA C45 of 2004. Owing to low volume of activities, as well as, its distance from the port, last September, the NCS downgraded the Ikorodu Lighter Terminal from its hitherto command status. It now serves as a Federal Government warehouse, and it is here that seized items are stored until they are disposed of. 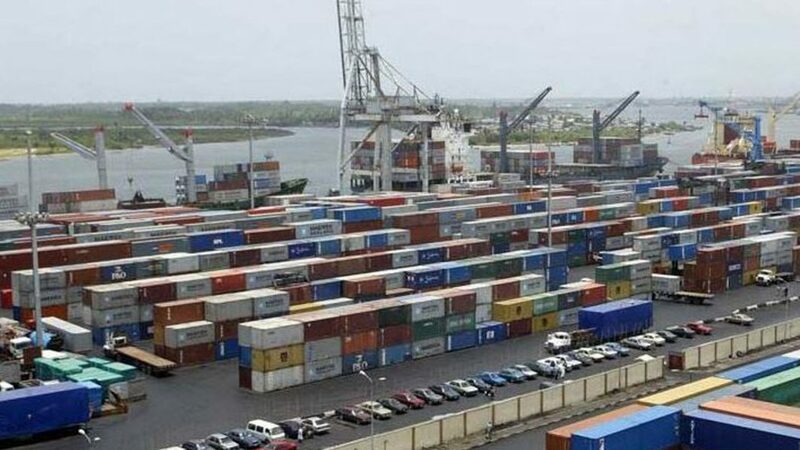 AS stakeholders continue to demand the removal of overtime (containers) cargoes, it appears that the cost of transporting cargoes to the government warehouse is standing as a major obstacle to the realisation of their expectations.The Guardian findings revealed that it costs over half a million naira to transport a container from the Apapa Port to the Ikorodu warehouse. Transporters confirmed this much. Attempts to get the Apapa Area Command to comment on the overtime cargoes were unsuccessful, but the Public Relations Officer (PRO) of the command, Nkiru Nwala was reported to have blamed the high cost of transportation as a major reason why the service cannot transfer overtime cargoes from Apapa Port to the government warehouse in Ikorodu. According to her, the command was soliciting support from the port managers and terminal operators in order for it to move the overtime cargoes out of the port and ease congestion. “To pick a 20ft container from the Apapa Port to Jibowu is N550, 000. So, for now, the modalities to get the containers out are being worked out. Using barges is not also cheap, neither is using train because sometimes the trains breakdown. It is a whole lot of challenges, but talks are ongoing. “The Comptroller has met with NPA port manager, but the question is who will foot the bills that the containers have accumulated because there are some of them that were here before the terminal was concessioned.”Nwala, who said the service was still gathering the number of overtime containers added that compiling the list of overtime cargoes was a complicated issue that needs to be handled diligently. 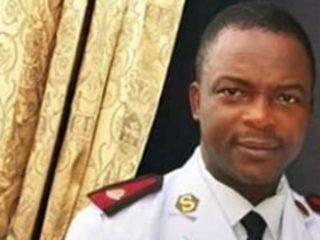 At the Tincan Island Command of the NCS, the PRO, Uche Ejesieme, said they were also compiling the list of overtime cargoes and necessary actions would be taken as soon as the Command gets a directive from the Headquarters.He said: “Overtime cargoes have taken up the entire space in the port. In fairness to some importers, they may be prepared to clear their cargoes as soon as they arrive the country, but something could just happen and they become incapable of settling their clearing cost. In other words, sometimes circumstances cause cargo owners to default in clearing their consignments within the stipulated time. “All these notwithstanding, we are always compiling the list of overtime cargoes in the port and once we get a directive from our Headquarters we follow it up since it is a regulated arrangement, and we cannot act unilaterally,” he said.Chairman, International Freight Forwarders Association, Port Terminal Multiservice Limited (PTML) Chapter, Sunny Nnebe, is of the view that cargoes left uncleared for a long time should be auctioned in order to preserve the lives of the containers, adding that containers that are left idle for up to one year are susceptible to damage, and this constitutes a loss not only to the owners/importers, but also to the economy. The company explained: “Port congestion at Lagos ports, Nigeria, is currently increasing our operational costs and generating severe service disruption for several weeks. CMA CGM will therefore implement the following Emergency Congestion Surcharge on Lagos import cargo, effective October 15, 2018 (B/ L date) for FMC trades.”But the NPA, in a statement issued by the acting General Manager, Corporate and Strategic Communications, Isa Suwaid, said the new charges cannot stand following the authority’s checks, which revealed that some shipping companies have failed to fully comply with the directive to acquire and operate holding bays as they have either failed to utilise their holding bays at all, or do not have adequate capacity to handle the volume of containers that they deal with. The NPA noted that some of the companies had also been found to import a larger number of containers than empty containers exported, thereby making the country a dumping ground for empties.“These conducts have contributed to the persistent congestion around the Lagos Port Complex and the Tin Can Island Port, spreading to other parts of Lagos metropolis, where truck drivers with no immediate business at the ports now park their trucks,” he said, adding that NPA will henceforth embark on a regular compliance check of the operations of holding bays by shipping companies and terminal operators and defaulters would be sanctioned. While many still point accusing fingers at the NPA for being solely responsible for lapses that have resulted to poor cargo clearance at the ports, the Managing Director of NPA, Hadiza Bala Usman, begs to disagree, insisting that the outfit should not be solely blamed for the lapses “because it takes more than NPA to see cargo out of the ports.”She, however, reiterated that “the challenge is to get all agencies to come under the single window, which NPA is undertaking,” to achieve a smoother and faster clearance of cargoes. APART from the NPA, plans to effect the surcharge by the shipping firm did not go down well with key stakeholders in the sector, including the regulatory body, the Nigerian Shippers’ Council (NSC). The council specifically frowned at the planned surcharge, especially at a time the country just exited recession, saying what ever gains may have been made by the sector would be eroded, just as such surcharge would contribute immensely to inflation.Consequently, the NSC suspended the takeoff of any form of surcharge on account of congestion. 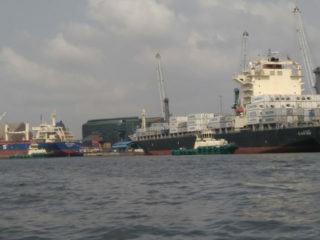 According to NSC’s Director of Special Duties, Ignatius Nweke, “congestion surcharge plan by CMA/CMG on all Lagos-bound cargoes have been suspended with immediate effect.He informed The Guardian that the plan was halted after a serious deliberation with the management of the company in Nigeria, adding that another meeting with the management was on the cards, where solutions would be proffered to issues that necessitated the introduction of the surcharge ab initio. WITH only days to the takeoff of the planned surcharge and just before the NSC intervened, clearing agents under the aegis of Association of Nigerian Licensed Customs Agents (ANLCA) threatened to shun the CMA CGM if it proceeded with the proposed congestion surcharge. 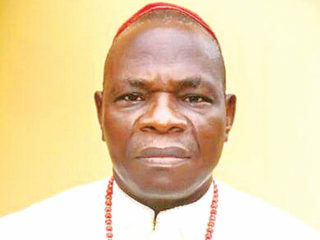 The National Association of Government Approved Freight Forwarders (NAGAFF) also threatened to boycott the shipping line should it go ahead with its planned introduction of congestion surcharge on Lagos-bound cargoes.National President of NAGAFF, Chief Increase Uche, argued that the issue of congestion was not new in shipping and that there was no port in the world that can be said to have totally escaped congestion, stressing that it was the control that matters. “But it is time we started proving them wrong. We know that the Nigerian Shippers’ Council has been saddled with the task of controlling charges, protection of shippers as the interim regulator. So, it is up to them right now to do the needful.“We are also aware that in shipping, once there is an issue whether man-made or natural to the extent that shippers cannot get access to their cargo, be it congestion, lock out, or strike, throughout that period, negotiations would be carried out on whether demurrage should be paid. If at all it should be paid, the amount would be fairly arrived at,” he stated. IN its reaction to the fuss generated by the planned surcharge, the French firm said the charge was operation-based and was not imposed by CMA CGM Nigeria as a local agent, but by the ship owners.Managing Director, CMA CGM Nigeria, Todd Rives, who said some stakeholders had misconceptions about the surcharge explained that it was to be prepaid at the port of origin by the shipper. The shippers, Rives emphasised, determined if freight payable at origin is acceptable to them and have the right to choose, which line they will enter into a contract of carriage with, hence CMA CGM cannot compel them to patronise its services. He added, “Furthermore, the operational charge is, for clarity, not applicable to shipments for which a contract of affreightment already exists as freight would have already been agreed before carriage, so no additional retroactive cost can be applied and no such charge is collected from the receivers in Lagos, Nigeria.“We confirm that no invoice has ever been issued by our local agency CMA CGM Nigeria for this operational charge and this can be verified from your members, who are our esteemed customers,” he stated. THE fact is that the cargo congestion experienced at these ports did not only surface because of the overtime cargoes. The strike actions embarked upon by the three major labour unions- the Nigeria Labour Congress (NLC), Trade Union Congress (TUC), and the United Labour Congress (ULC), also affected berthing of ships and clearing of cargoes at the seaports.A port operator who pleaded anonymity said: “Remember that a short while ago truckers went on strike causing congestion to affect many of the port terminals. The truck drivers protested then due to the failure of the NPA call-up system to clear the Apapa traffic gridlock. “We were yet to fully recover from that truckers’ strike before the labour unions announced their strike action. The truckers strike alone led to congestion in the ports. 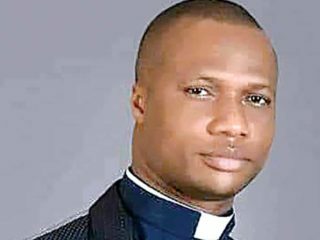 Many containers litter the ports uncleared.“We were in the middle of tidying the backlog of containers that got trapped in the ports due to the truckers strike when the labour unions announced their strike action,” he said. OVER 43 years after the Apapa ports’ access road, which serve as a major link between the seaports and the airport was constructed, it never underwent any comprehensive rehabilitation work.Past governments continued to manage the all-important road to the extent that it is now posing a serious threat to the survival of the national economy. From a million potholes, to the death traps, loss of multi-billion naira goods, dirty and polluted environment, port access roads have wrecked serious havoc on businesses in the Apapa area of the state, yet relief appears still farther than expected.The cost of haulage has soared by about 400 per cent, as drivers sleep on the road for about two weeks before gaining access to the ports, while cargoes are pilling up because they cannot be evacuated. Terminal Operators are groaning under the unpalatable situation, just as the clearing agents and other stakeholders are worried that their businesses are gradually withering away.Spokesman, Seaport Terminal Operators Association of Nigeria (STOAN), Bolaji Akinola said the ports will continue to falter, unless the Federal Government pays due attention to road infrastructure and automate the cargo clearing system. He said: “The terminal operators have been at the receiving end. We have been suffering silently. We have been loosing a lot on revenue. We are burning too much energy to achieve very little because of bad roads. It is a big problem, which I think requires more serious attention from the government.